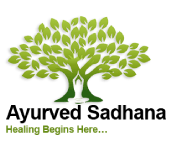 The Advanced Ayurvedic Practitioner Program is a four year program that consists of eight semesters and 3035 hours in total with approximately 380-400 hours both Theory and Hands-on combined (appx. 23.5 credits) per semester. The Attendance requirements is the same as Ayurvedic Practitioner Program. Advanced Ayurvedic Practitioner Certification Program students will need to complete all of the Ayurvedic Practitioner Certification Program and its related commitments prior to enrolling in this Advanced program. If students cannot meet these commitments, then it will take more than 4 years for a student to complete this program. The certificate will be issued only after completing all the courses listed in the program. The program is limited to 8-12 full time students per year. The Ayurvedic Doula Program is a 9 month program; approximately 262 hours. The certificate will be issued only after completing all the courses listed in the program. Students must attend the entire Ayurvedic Doula – Nutrition and Support Program, individual course attendance is not offered. This ensures the highest standards of quality education for every Ayurved Sadhana Student. The program is limited to 6-8 full time students per year. Flexibility: We offer virtual classes through live stream, hence you can take classes from the comfort of your home enjoying a nice ginger tea or a coffee at your favorite café or attend in-person. Long Distance Learning and Convenience: The classes are primarily held on the weekends or some are in the evenings; therefore we are easier to fit around your schedule, be it work or family. In-Depth Knowledge Transfer: All of our classes are packed with constant discussion and engaging professors who make sure each student has the greatest understanding of what they are learning. Authenticity: We offer small class sizes with individual attention and the highest level of Authentic Ayurveda Education. A gradual incline from easy classes to more challenging ones ensure that our students understand what they are taught and no one feels out of place. Hands-on-experience classes: These in-person classes such as cooking classes, Panchakarma practical classes, Ayurvedic herbal preparations, and pulse reading, etc. will be clustered together (5 to 7 days at a time) so that long distance learning students can attend these classes by traveling to Colorado twice in a year at the most. Ayurved Sadhana does provide limited accommodations for out of town students on first come first serve basis.